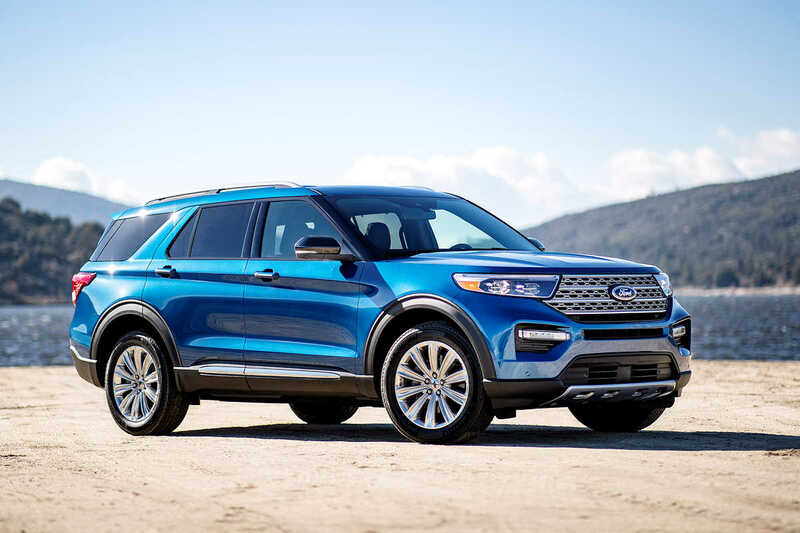 Ford says its all-new 2020 Explorer’s tires are nail and screw-proof. The reason? It comes with self-sealing tires which are standard on high-trim models like the Platinum and Limited Hybrid. Differing from typical run-flat tires which have a strengthened sidewall to carry the vehicle’s weight, the Michelin Selfseal tires on the Explorer actually contain sealant that fills in common tread punctures such as those from nails and screws, dramatically slowing the rate which the air leaks. This helps avoid dangerous side-of-the-road stops, lost time, and loss of vehicle control. Ford says these proprietary tires seal 90 percent of tread punctures up to a quarter-inch (6.35 millimeters) in diameter, slowing the air pressure loss to less than 15 PSI per week. The Explorer is the first SUV in the world to offer these Michelin Selfseal tires which come with a tire size of 255/55R20. It’s worth noting that despite this technology, Ford’s mid-sized SUV will still come with a spare tire.